It was only yesterday that Rockstar treated us with the third trailer for its upcoming western dust opera, but it seems the teaser was not the only thing it released. IGN got its hands on a 45-minute demo of the title, and from what was revealed of the gameplay, it looks to be ambitiously immersive. From NPCs to fully functioning camps to better horse AI, Rockstar has placed the player into a living virtual world. The people populating Red Dead Redemption 2 are not just props. The NPCs exist — they have a life and things to do, but they don’t just go about their business on a predefined script. They react realistically to the things you do. There are a lot of choices and ways to approach every encounter with people in the game, all with consequences. IGN gave an example of a man fishing. You can sneak into the fisherman’s camp and steal his belongings, chat with him, or leave him alone. If you steal from him and he catches you, you could kill him, scare him, or just run away. If you let him live he may tell the law on you, which will increase your bounty. If you kill him, the sheriff may not find out, but if he does you will be hunted for murder rather than just robbery. People react to your demeanor as well. You greet them friendly or aggressively and they respond appropriately. They act differently depending on whether you have your gun holstered or not. Walking around with your gun in your hand is likely to get you shot — by the law or by a courageous (or stupid) citizen. Another immersive aspect that the developers have added are bandit camps. The camps don’t just act as a hub for launching missions. They are actual working encampments with members of the gang doing their parts to keep up the post. Things need to be done, and your cohorts will carry out their differing chores whether it be hauling up water from the river, chopping wood, or guarding the perimeter. As Dutch van de Linde’s right hand, Arthur Morgan (the player character) has the responsibility of managing the camp’s morale. At this point, this is primarily accomplished by keeping the gang stocked with food. You can scavenge and steal, but hunting is probably more efficient. Rockstar is still working on camp management. It wants camps to be engaging without feeling like a chore, and the developers are still trying to find that balance. Horses in Red Dead Redemption were a great utility for getting around, but they were not very realistic. You had no reason to like your horse in the first game. It was pretty much just a disposable resource similar to cars in Grand Theft Auto — there was just no reason to worry about your horse because you could always steal another one. For RDR2 Rockstar has wholly revamped the horses. Having a horse now is more meaningful. The more your care for and work with your horse, the calmer it will remain during tense situations like gunfights. If you abandon your horse or get it killed, you will have to work with a new one and train it up like you did the first. Rockstar has also eliminated the magical horses and replaced them with real ones. That is to say; your horse stays where you left it. You can still call it with a whistle but only if it is nearby. Your mount will no longer suddenly appear out of nowhere when you left him ten miles back. I can see these horse changes being both more immersive, but frustrating at the same time. For example, how frustrating will it be to rob someone and want to make a quick getaway only to find your horse is just beyond the threshold of hearing your call? We’ll have to see if Rockstar can make horses more realistic without them becoming a burden. Hunting is more natural and realistic, but at the same time more brutal. Gone are the vague skinning scenes showing John Marston's face as he skinned a rabbit. Now the skinning is a bit more graphic. Arthur can use a gun to hunt, but the bow, which is a new addition to the arsenal, is more effective for stalking prey. It also causes less damage to the meat making it more valuable. Dead Eye is still the same. I liked Dead Eye in the first game, but I didn’t use it often. Some players loved it, others hated it, but you could always just not use it. Nothing has changed about it. However, developers have added a long-distance bullet cam. When you make a long-distance kill the camera switches to a reverse angle and time slows down. It reminds me of kill shots in Sniper Elite or Zombie Army. Many other incidental details have been added to increase the realism and immersion. Little things like this add a particular nuance to the game that on paper sounds incredible. Execution might be another story, but judging from the demo the developers are on the right track. 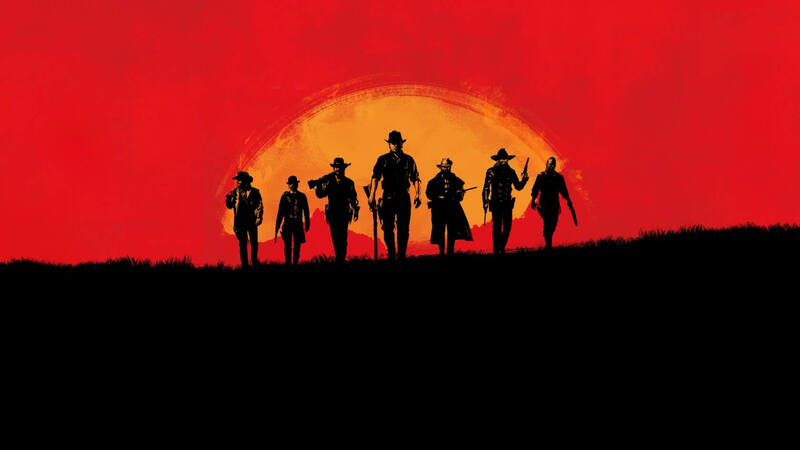 We will see if the final cut lives up to the demo when Red Dead Redemption 2 releases on Xbox One and PlayStation 4 on October 26.